Two inquiries into an Oakland police detective’s questionable investigation of journalist Chauncey Bailey’s 2007 murder were so flawed that commanders couldn’t determine what happened and dropped efforts to fire him, legal documents show. Charges against Sgt. Derwin Longmire related to the Bailey case eventually led to determinations of “not sustained” — meaning they couldn’t be proved or disproved — and he was never disciplined for that case, according to depositions in Longmire’s federal discrimination lawsuit against the city of Oakland. But police commanders didn’t tell Longmire of their decision not to fire him while he remained on paid leave for five additional months, a period he claims was unfair and caused him stress, damage to his reputation and anxiety over how he would support his family if he lost his job. The revelations contained in the depositions provide the clearest picture to date of the Oakland Police Department’s handling of the controversy surrounding Longmire and his alleged ties to Yusuf Bey IV, convicted last month of ordering Bailey’s murder. But the picture remains incomplete, because many details of the department’s inquiries still have not been made public. The depositions themselves provide only a sketch of a detective whose supervisors clearly suspected him of malfeasance. 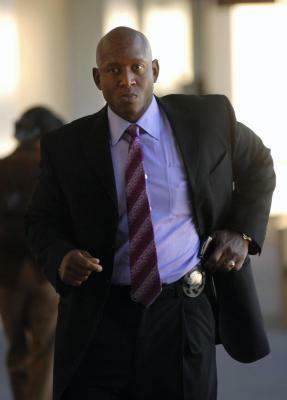 Assistant Chief Howard Jordan, a defendant in the suit, said in a deposition that Longmire was not told of the determination because he was under a separate internal investigation for sloppy work in 10 other, unrelated homicide cases — charges that were found to be true and eventually resulted in a six-day unpaid suspension. Longmire argues that the department was trying to get him to sign an agreement that he wouldn’t sue before he returned to work, which he rejected. He returned to work in December 2009 and is now assigned to the patrol division. The lawsuit claims he was a victim of racial discrimination; that his First Amendment rights were violated through retaliation against him for complaining about violations that occurred during the probe; and that police managers leaked information of the probe to the media in violation of state law and Longmire’s privacy rights. He filed a separate suit this month in state court also containing a First Amendment claim, as well as a claim that he was discriminated against because police officials thought he was a Black Muslim, which he said he wasn’t. He was accused of compromising the Bailey investigation because of his relationship with Bey IV, the former Your Black Muslim Bakery leader who now awaits sentencing to life in prison without parole eligibility. Both the city’s consultant and the state Department of Justice concluded Longmire compromised the case, but police commanders testified their reports were sloppy and incomplete, according to the depositions made public by KTVU Channel 2. Neither report has been released. Jordan testified that Internal Affairs Lt. Sean Whent — also a defendant in the lawsuit — told him the reports were flawed but contained enough evidence to uphold firing Longmire. Whent testified in his deposition, and wrote in an April 2009 memo, that the decision was Jordan’s. In his own deposition, Longmire said Jordan has a deep bias against him and wanted him fired to advance his own career. Longmire also insisted he did nothing wrong in the Bailey case and didn’t have an inappropriate relationship with Bey IV. A departmentwide gag order in effect for more than three years meant “I couldn’t say anything in my own defense,” Longmire said in his deposition. The gag order is now gone, but Longmire declined to be interviewed for this story, as did lawyers in the Oakland City Attorney’s office who represent the city and police commanders. Longmire testified that he has suffered a “a tremendous cost of respect” and likely has lost out on a chance at a post-retirement job as a District Attorney’s Office inspector, which he estimated would have paid him $600,000 in his first five years. He is seeking unspecified damages. Rumors swirled for years within the department that Longmire had too-friendly ties to the Bey family and the bakery. Still, former homicide unit commander Erise Joyner has steadfastly stood by his call to have Longmire investigate the Aug. 2, 2007, slaying of Bailey, the Oakland Post’s editor, which almost immediately was tied to the bakery. Devaughndre Broussard, a bakery follower, confessed to the killing only after Longmire put him in a room alone with Bey IV for a seven-minute unrecorded conversation, during which he later claimed Bey IV ordered him to take sole blame for the killing. Broussard later recanted and then admitted killing Bailey on the order of Bey IV. He struck a deal for a 25-year prison term in exchange for testifying against Bey IV and bakery member Antoine Mackey. After Broussard’s confession, efforts to tie Bey IV to the slaying slowed. In the depositions, Joyner testified that then-District Attorney Tom Orloff twice rejected efforts to charge Bey IV in the killing because he was facing separate kidnapping and torture charges that carried a mandatory life sentence. Bey IV, meanwhile, was repeatedly recorded in jail saying that Longmire was protecting him. Orloff didn’t return a call seeking comment for this story. In April 2008, the detective assigned to the torture case, Jesse Grant, complained to internal affairs that Longmire had interfered in his investigation. He said Longmire had spoken to his suspects without his permission and tried to get bakery computers that had been seized returned to the Beys. Longmire said in his deposition that he didn’t even know a kidnapping had occurred or that Bey IV was a suspect. Grant, he said, “has a problem with Black males,” which Longmire argued was a possible motive for the complaint against him. He went on to testify that Grant told staff at the District Attorney’s Office that he was a Black Muslim. Grant, now a Berkeley police officer, did not return a message seeking a response. Others in the department also voiced concern that Longmire was widely believed to be a Black Muslim and bakery associate. Among them, Whent and Deputy Chief Jeffrey Israel testified, was intelligence unit Officer Andre Rachal, the department’s expert on the bakery. Longmire testified that when he was Rachal’s intelligence unit supervisor, Rachal wouldn’t give him information on the bakery because of that concern. That perception, Longmire claimed, was because of his race, patronage of the bakery and the fact he often wore a bow tie — often associated with Black Muslims — to work. But that, he said, was simply a fashion choice, because he thought bow ties made him appear distinguished. Trying to preserve a perception of objectivity, the department farmed out its internal affairs investigation of Longmire to Wendell “Pete” France, a former Baltimore police commander and internal affairs consultant. The California Department of Justice, at the request of then-Mayor Ron Dellums, ran a simultaneous, separate probe. Both reports arrived scant days before a deadline set by state law — one year after Grant’s complaint — by which the top brass had to decide whether to discipline Longmire. The depositions show a widespread dissatisfaction with the reports and no time to ask the authors to strengthen them. Yet, despite criticism of the reports, Jordan quickly placed Longmire on paid suspension and began the process of firing him. Jordan also approved France’s finding that Longmire had disobeyed Joyner’s order to document all contacts with bakery members; Joyner testified that he provided computer records showing Longmire’s compliance with that order. Three months after Jordan suspended Longmire, Capt. Anthony Toribio conducted a hearing at which Longmire could respond to the allegations. Toribio within days of the hearing told Jordan he didn’t believe the charges against Longmire could be sustained, a recommendation that usually would end such a case and let the subject return to work. Still, Longmire was kept on leave — and in the dark about Toribio’s recommendation — for five more months. Contact Josh Richman at jrichman@bayareanewsgroup.com and Thomas Peele at tpeele@bayareanewsgroup.com. Follow them at Twitter.com/josh_richman and Twitter.com/thomas_peele.